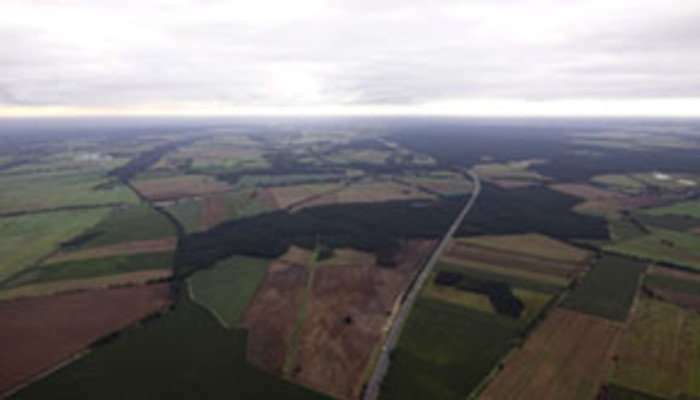 According to researchers at Aalto University, Finland, large-scale weather cycles, such as the one related to the El Niño phenomenon, affect two-thirds of the world's cropland. In these so called climate oscillations, air pressure, sea level temperature or other similar factors fluctuate regularly in areas far apart in a way that causes rain and temperature patterns to shift significantly. 'During recent years, researchers' ability to predict these oscillations has improved significantly. With this research, we highlight the potential of utilizing this improved forecasting skill in agricultural planning. This could improve the resilience of agriculture to climate related shocks, which can improve food security in many areas across the globe', says Matias Heino, a doctoral candidate at Aalto University. 'Our study showed that the North Atlantic Oscillation, NAO, significantly affects crop production in many parts of Europe, but also in North Africa and the Middle East', says assistant professor Matti Kummu from Aalto University. In the Indian Ocean Dipole, the surface water temperature of the Indian ocean fluctuates regularly in the ocean's eastern and western parts: When the surface water is warmer in the Western Indian Ocean, the temperatures in the Eastern Indian Ocean tend to be lower, and vice versa. The IOD phenomenon affects food crop production particularly in Australia, where the crop productivity may, depending IOD's phase, be up to 8 per cent smaller or 6 per cent larger compared to the average.